I'VE partnered with 21Bet this weekend to bring you another exclusive offer. 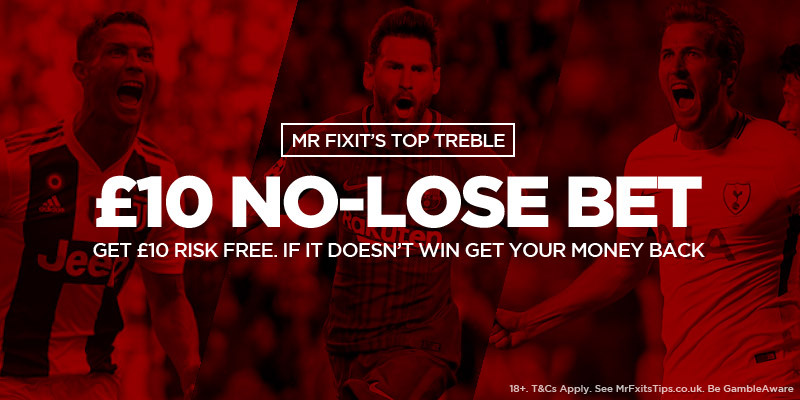 They've enhanced my Top Treble to a tasty looking 6/1 (from 4.88/1) and I'm giving you the chance to have a go at it with a £10 Risk-Free bet! All you have to do is open a new account at 21Bet, place your a bet on my enhanced Top Treble and if it doesn't win I'll give you your tenner back in cash via Paypal. My Top Treble features three teams that I think should win, two of them with some to spare. You can find the Enhanced Treble here. This offer is only available to those opening a NEW 21Bet account via a link on this page / site, or via a link provided on my twitter page. To be eligible, users must open your 21Bet account and place a £10 on my Top Treble.